2x16 Parallel LCD BASIC Stamp Sample Code. 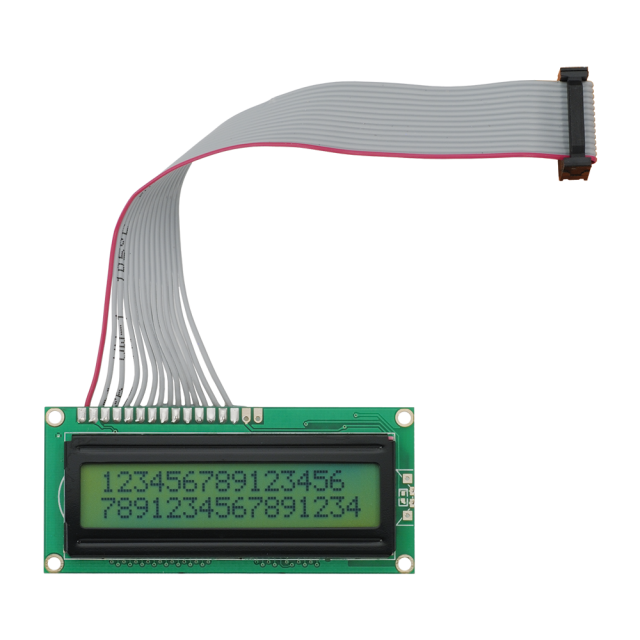 2x16 Parallel LCD BASIC Stamp Variable Display Code. 2x16 Parallel LCD Product Documentation. 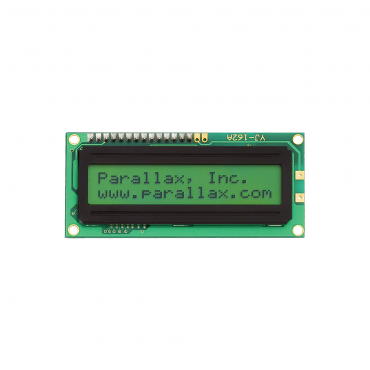 The 2 x 16 Parallel LCD can be controlled via a 4-bit or 8-bit parallel interface. It allows you to display text, numeral data and up to 8 custom created characters. The LCD uses the Hitachi HD44780 or equivalent LCD controller chipset. It goes well with the Parallax Professional Development Board, but may also be hooked up manually via its 14-pin connector. BS2p series microcontrollers have LCDIN/LCDOUT commands making it easy to control this display. Displays text, numbers, and custom characters. 6-inch ribbon cable with 14-pin connector. Connector: Ribbon cable with 14-pin connector (2x7). Dimensions: ~3-1/4" W x ~1-3/4" H x ~1/4" D (~85mm W x ~45mm H x ~6mm D)*. Operating temp range: -32°F to 158°F (0°C to 70°C). NOTES: Style and size may vary.